Mike: Tell me a bit more about your history and Smith Kearns Mediation. Patrick: During my law career I became I volunteer Mediator for a Community Based Mediation program in 1998. I volunteered for that organization for a number of years after receiving 40 hours of Mediation training. Subsequently, in 2003 I received an additional 36 hours of Intensive Mediation Training from the Center in Understanding in Conflict. It was at this training that I realized that Mediation was the career I wanted to pursue. I began my recent Mediation business, Smith Kearns Mediation in 2009 in the hope of bringing Mediation into the mainstream to educate people about the benefits of Mediation. This past year Smith Kearns Mediation has been featured in a Magazine and three online newsletters and brochures. Presently, I have a fan page on Facebook, interested parties can follow me on Twitter at Med8it and Linked In at http://www.linkedin.com/in/med8tor. Finally, Smith Kearns Mediation tag line is “Conflict is Inevitable , Combat is Optional”. Mike: You own several domains, but let’s start talk about LImediation.li. Although .li is the country code for Liechtenstein, many Long Island businesses have adopted its use. Tell me where you first learned of it and why you chose to use it as well. Patrick: I first learned about .li from David Gussin of 516ads.com who introduced me to the concept of utilizing the extension to help people identify with my brand. I had already developed my www.smith-kearns.com and David opined that people show know what I do by my domain name. David also has a program that helps business get a higher listing. Mike: Because it’s a country code, have you had any issues with getting your site indexed in search engines such as Google? I see you rank in the number 1 spot for “LI Mediation” (without quotes). Are you aware of other keyword terms that you rank well for? Patrick: I have not done the necessary research to see if I rank well with other keywords. Since this website is ancillary to my main website my focus has not been on seeing the ranking of this webpage. However, I am satisfied to date with the ranking with the Keyword LI Mediation. Mike: Do you receive a lot of questions from clients or business acquaintances as to the .li on your domain name? If so, what is your typical reply? Would you consider it a help or hindrance when it comes to clients remembering your website? Patrick: Quite surprisingly, I have not had many questions about the .li because of the fact that I reside on Long Island and work closely with many other businesses that are clients of 516ads.com. However, I do promote the website and like to tell the story about the origin of .li. Since I am a new business I am being aggressive in branding my business and felt LIMediation.li would help capture some of the market share on Long Island. As such, I am of the opinion that over time people will come to recognize my website name and accordingly remember what I do. Mike: You also own smith-kearns.com which seems to be your primary and distinct website. Along with NoBullShitNegotiations.com and NoBSNegotiations.com which I believe forward to smith-kearns.com. Has owning multiple domains and maintaining distinct websites benefited the business in any way? Patrick: I have only recently purchased the additional above websites and have also purchased www.mediatingconflicts.com. I have done searches for the additional websites and already rank high on the list for those search words. Although that maybe a function of the fact those keywords are not often used in a search, I am of the opinion that all in time this will benefit my business. I am presently marketing a Bargaining System that was patented by Fair Proposals, Inc. that allows parties to negotiate over the internet in a confidential manner. The NoBullShitNegotiations.com and NoBsNegotiations.com are taken directly from attorneys who saw the value of this system. Mike: Would you consider purchasing addition domains in the future, outside the .com, .net, and .org universe? Why or why not? 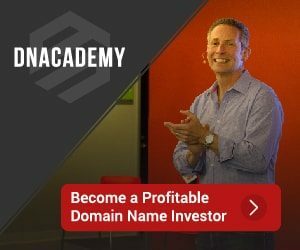 Patrick: I would always consider purchasing additional domains in the future as long as I can see an added value to building my brand. Mike: Being in the mediation industry, is there any advice you’d give to small business owners? Patrick: Absolutely. First I would like to thank you Mike for this opportunity to discuss my web strategies to help heighten the awareness of my brand Smith Kearns Mediation where we believe, “Conflict is Inevitable, but Combat is Optional”. All business owners should be aware of the power of Mediation and its benefits. It is also important to know the best time to look to Mediation as an alternative is when the dispute begins. Too often, parties wait until there is a point of no return in a dispute and it escalates into a lawsuit. If there are 5 points I would like any business owner to remember about Mediation, it would be that Mediation is Confidential(no public record),Voluntary(the Court system is not forcing you to negotiate),Inexpensive(Mediator’s fees are less), Timely(Mediations resolve disputes quicker than the Courts) and Effective(80% of settlements reached in Mediation are adhere to). Mike: Any additional information you would like to share? Patrick: Yes. I have also purchase a domain name to help start a Networking Group. The VAN Group stands for valueaddednetworking.com. I purchased the domain long before I started the networking group. So I would remind people that if you come up with an idea the first task you should tackle is to see if the idea is available as a domain name. Once you reserve the name or idea as a domain, then they should build and develop the idea from there.